When I was eighteen I thought I would be a painter. When I was twenty-two, I was sure that my future was in literary poetry. At twenty-six, having found my niche, I decided that I was a pantser. 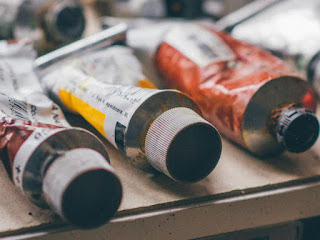 I eschewed formula and tips from commercial writers--particularly those who worked in film--in favor of a sprawling, sometimes aimless writing process, all in the hope that by letting my id run wild, I'd uncover hidden gems. I was twenty the first time I saw Adaptation, Charlie Kaufman's sort-of autobiographical, sort-of adaptation of Susan Orleans' The Orchid Thief. In Adaptation, Nicolas Cage plays both Kaufman, and his fictional twin brother. Charlie exemplifies the writer I once was, dedicated to telling naturalistic stories about flowers and people who do not grow. I remember agreeing with Charlie as he tells his brother that formula can't teach you anything. Two weeks ago, I watched it again. Something must have happened in the ensuing years. Now it was Charlie, not commercial writer Donald, who struck me as a joke. I noticed for the first time how the "gimmicky" plots conjured by Donald seemed . . . well, interesting. I nodded along as a fictionalized version of screenwriting teacher Robert McKee admonishes Charlie for not seeing the story--of failure and of triumph--everywhere around us. 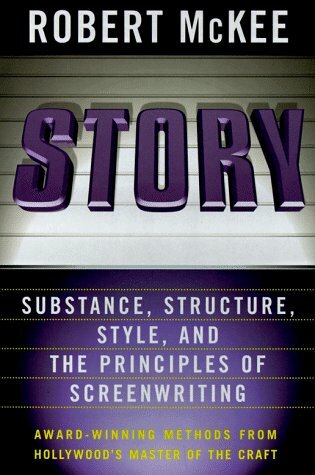 Rewatching Adaptation spurred me to pick up McKee's book, Story: Substance, Structure, Style and The Principles of Screenwriting. It's a fascinating look at narrative and its various functions and intent. 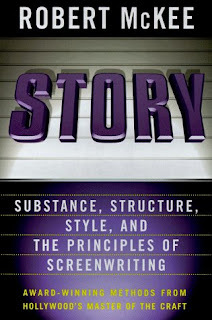 Despite my preconceptions, I found, not a book about Hollywood formula or artificial restrictions placed on writers in order to commercialize their writing, but one about shaping narrative in a satisfying way according to genre and audience. I never would have read Story at twenty--I was a certain type of writer, right down to my literary bones--but I probably should have. But in order to arrive here, in the tub, turning down the pages of McKee's book and turning myself into a prune, I had to let myself change. And that's not always an easy thing to do, particularly in an industry where much of our journey, our growth, is public. Between agent announcements and book deals, there exists a certain pressure to present a streamlined, coherent narrative of self: I approach my career and my writing and my life this way, and always have, and always will, because it's the best possible way. I've definitely felt that pressure, not to reneg on previously stated attitudes even when I, myself, have changed. What if I look hypocritical, stupid, wrong? But the truth is, I'm still growing. The truth is, we all are; if there's a universal story about artists, it's probably this. I once was a Charlie, and now I'm a Donald. That's okay. That doesn't mean that Charlie was wrong, fatally flawed. It just means that I'm a person, with room to grow and evolve. As we all are. Funny enough, I was reading about Adaptation a few minutes ago! Not yet since it's rated R, but I might in the future. So true. Sometimes it just takes us time to see things in a different way, to grow into a new stage. It's one of the most frustrating aspects of writing, for me - that I can't simply make the craft development go faster - it's more of an evolution over time.